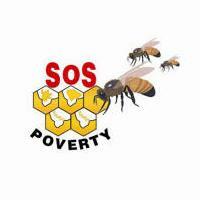 SOS Poverty is a non-governmental and charitable organization set up in 1998 to fight poverty and social injustices in the country. It was officially registered in February 2000 under registration number 6144. So far we have implemented a global plan of actions, comprising of several micro projects implemented in an integrated fashion, laying emphasis on two major factors: Education and Economic. Briefly, our activities consist of pre-primary education, women empowerment, welfare activities, etc. * We are committed to the promotion of human rights and social justice. * We endeavour to combat poverty through inclusive education/ training programmes and self-help socio-economic programmes. * We firmly believe that a poverty-free Mauritius is achievable through the genuine participation of the people concerned in the general improvement of their living conditions.